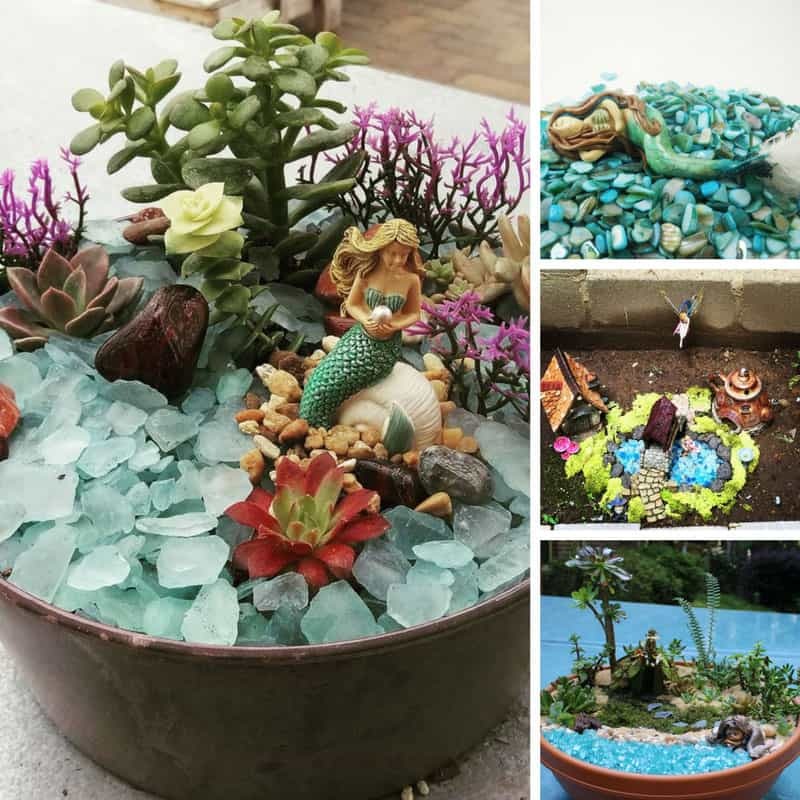 These mermaid gardens are a whole new take on fairy gardens, and filled with mystical sea-based treasures. Make one for yourself or with your daughter! 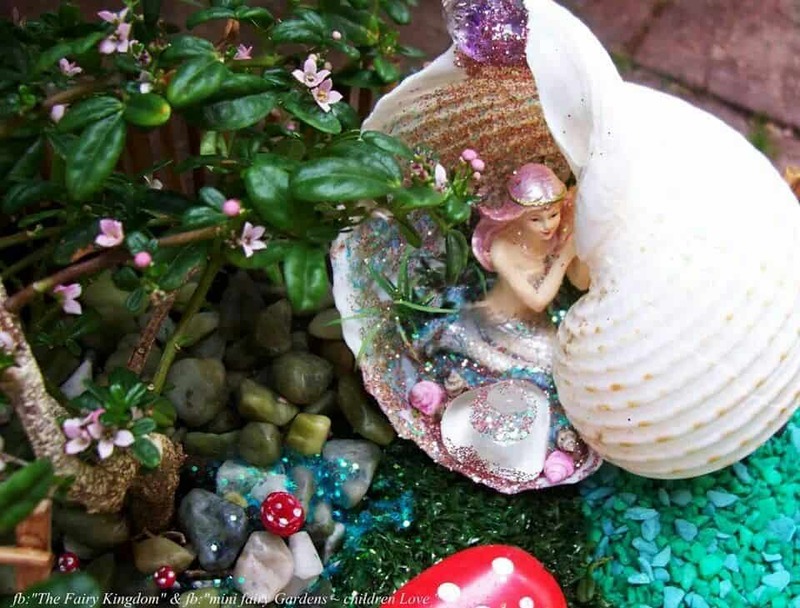 You know we go weak at the knees crazy about fairy gardens around here but if you prefer your fairytales to be ocean based you are going to LOVE these mystical mermaid gardens instead! 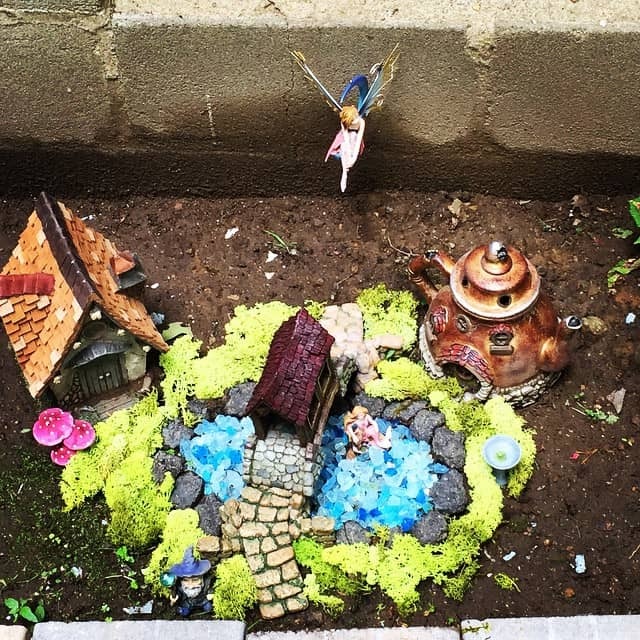 Did you know that building a fairy garden is actually a great STEM project? 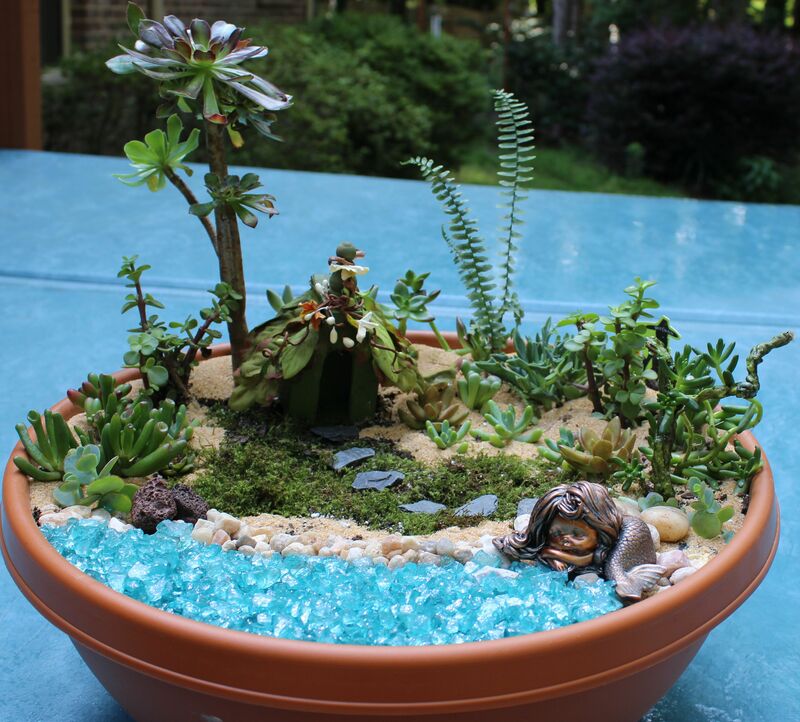 If you’re a homeschooler and you want to know more check out this wonderful fairy garden workshop. 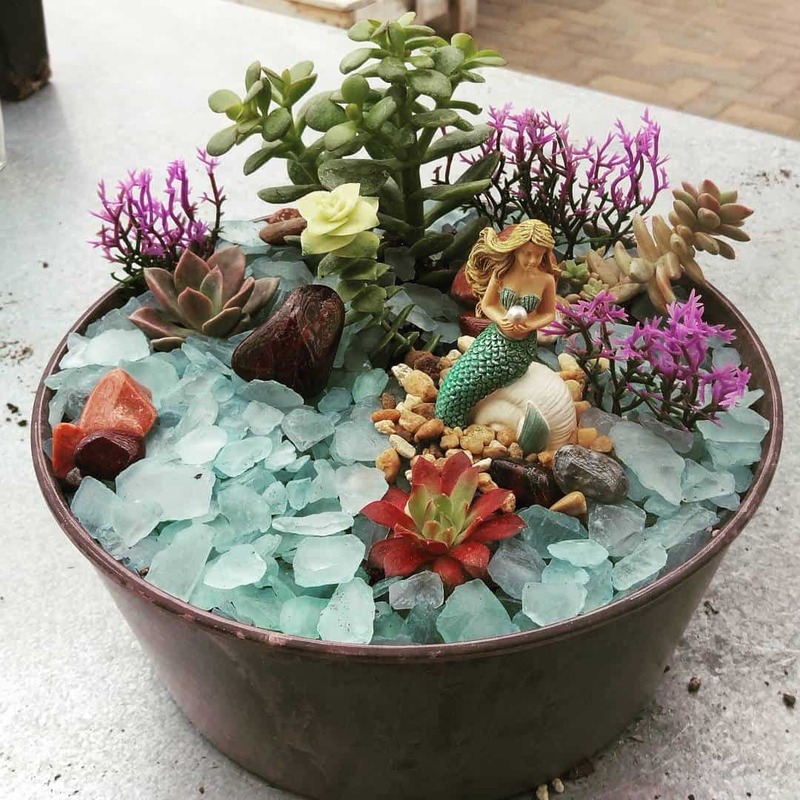 If you have a broken pot you’ve been meaning to throw away why not build a fairy garden inside it instead! 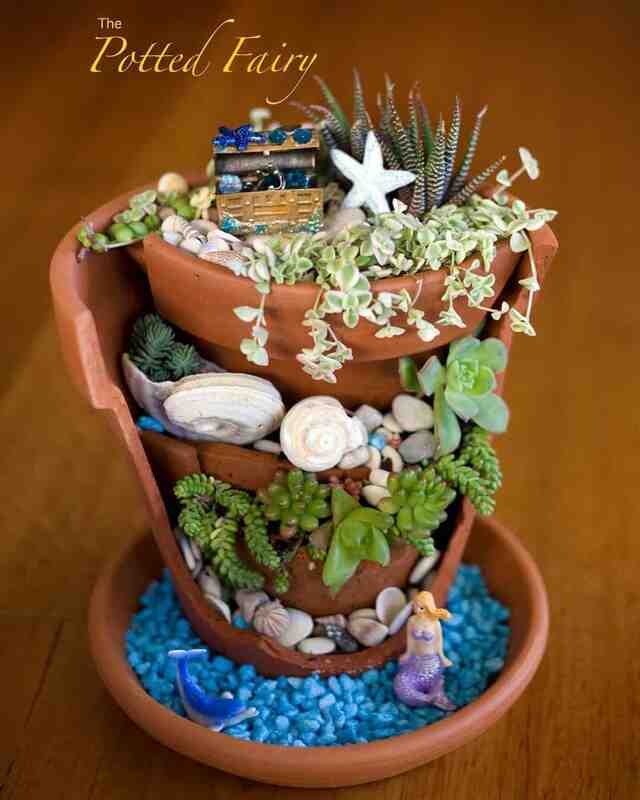 Layer two more pots inside and fill with shells and succulents before adding your mermaid , her dolphin friend and the treasure chest she is protecting. If you need a mermaid treasure chest you can get one here. This isn’t so much a mermaid garden as a mermaid party! 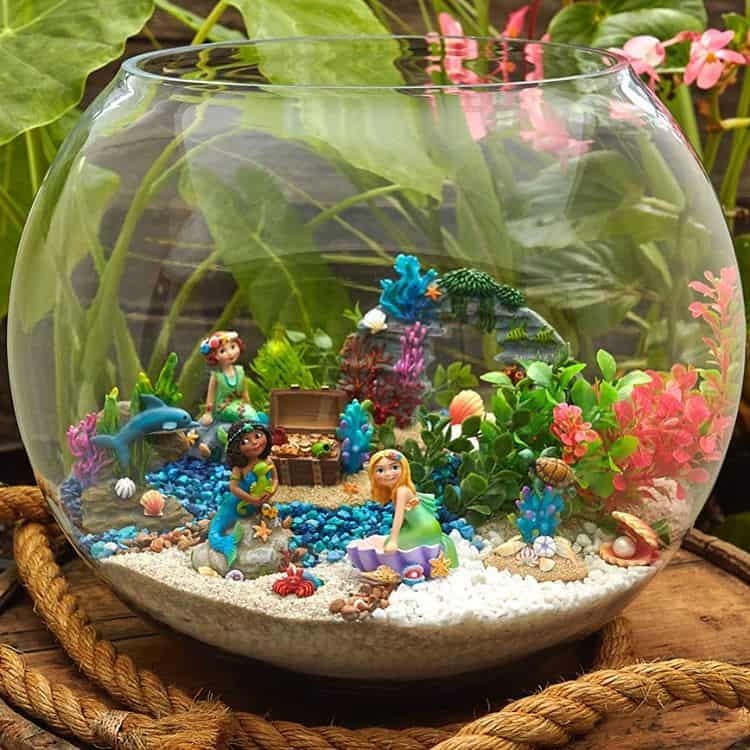 It’s up to you whether you fill your planter with artificial plants or succulents, but be sure to fill it full of treasures and knick knacks for those mermaids to chat about! You can easily get artificial aquarium plants here. How beautiful is this sleeping mermaid with her shimmering tail? She’ll be the perfect centrepiece for your mermaid garden. 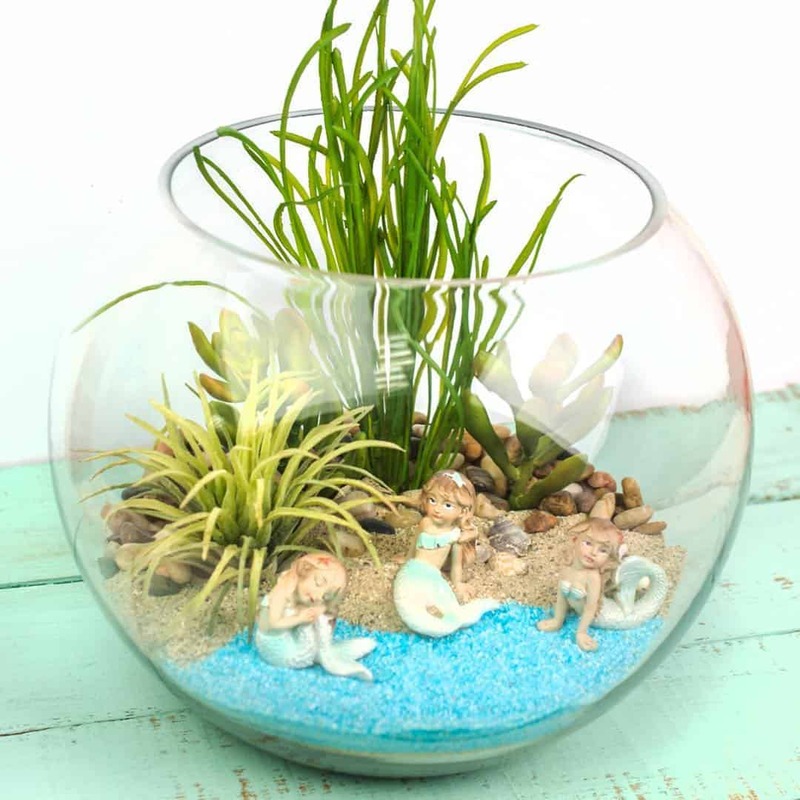 Take your terrarium an extra step by adding in a beautiful sleeping mermaid and some blue glass pebbles. You can easily get blue glass pebbles here. If you’re not sure how to actually put your mermaid garden together take a moment to watch this video. How adorable is this little mermaid curled up asleep by her clam shell. If you’re looking for a gift for a little girl this is the perfect mermaid garden kit to choose. 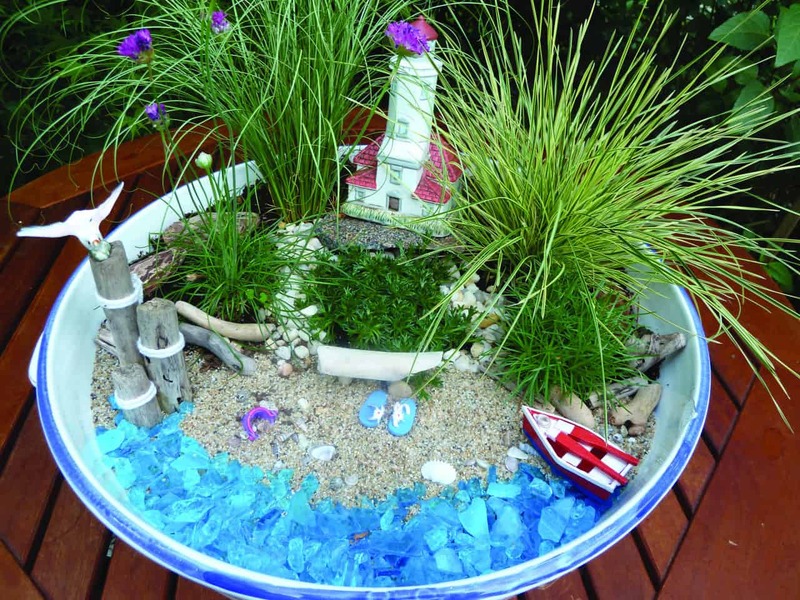 You don’t always need to contain your mermaid garden in a pot or a planter, why not create her ocean world right in your garden instead? You can get a copper teapot house here. 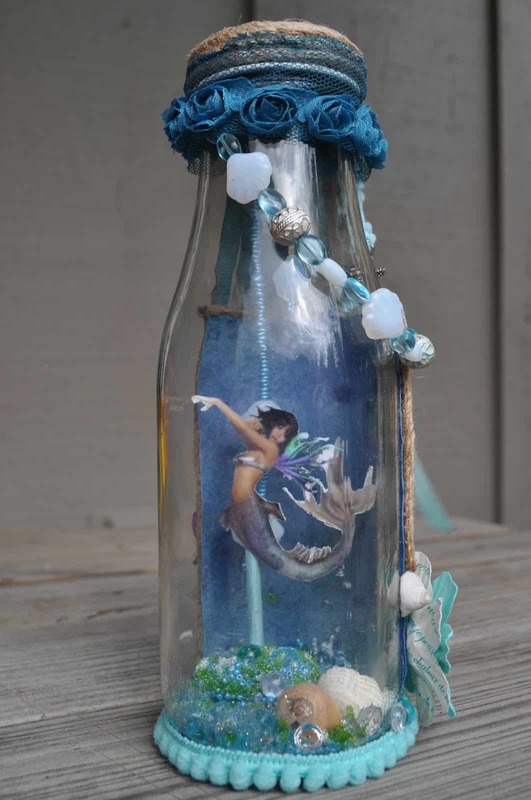 This mermaid garden idea is totally unique, what a fabulous idea to create a mermaid in a bottle instead! There’s something quite magical about this mermaid bowl, it must be that sparkly blue sand! You can get blue scenic sand here. 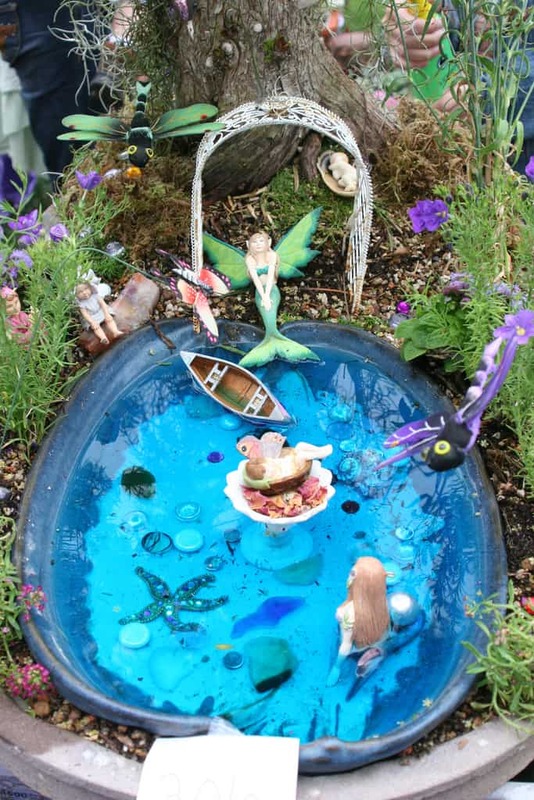 This might just be the largest mermaid fairy garden in a container we found, which makes it great inspiration for a child’s small world play. The turquoise sea glass really makes this mermaid garden, and we love the mix of succulents and artificial aquarium plants. You can easily get glass cobbles here. 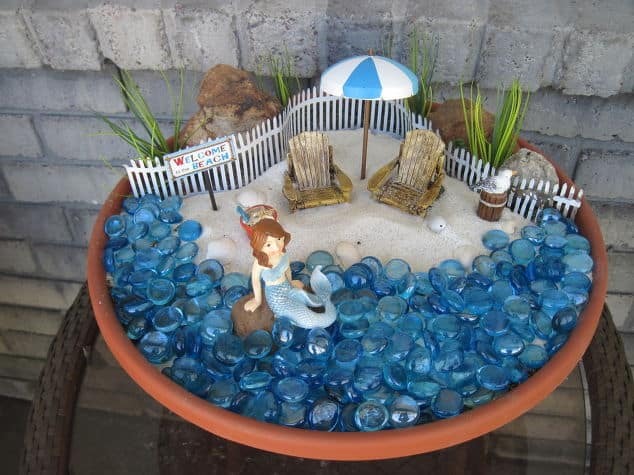 Mermaid gardens don’t have to be built in a plant pot or container, we love this one that is made from an old toy chest! 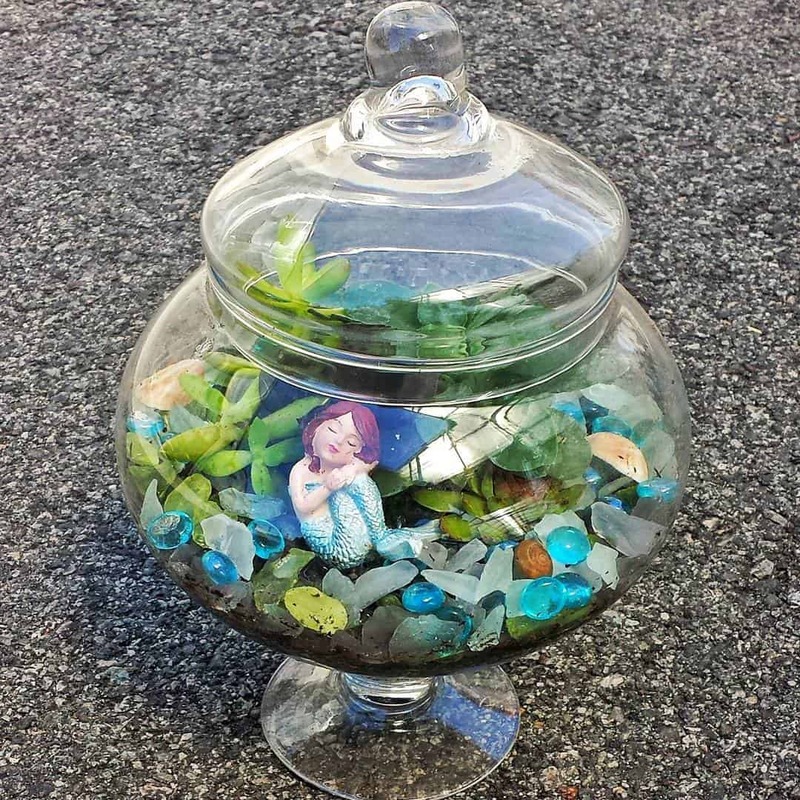 Give it a distressed paint job and then fill with treasures for your mermaid to watch over. The old fishing net and shells really add to the mermaid magic! 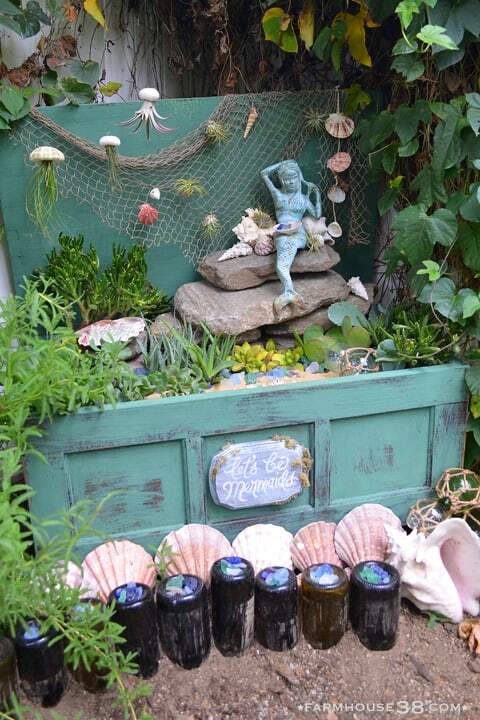 This is really an ocean themed container garden but its crying out for a mermaid to watch over those sailers! 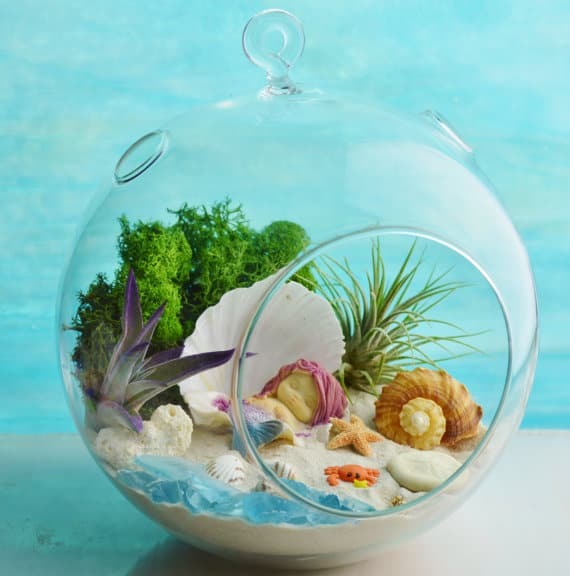 Need miniature sea items for your garden? Get them here! 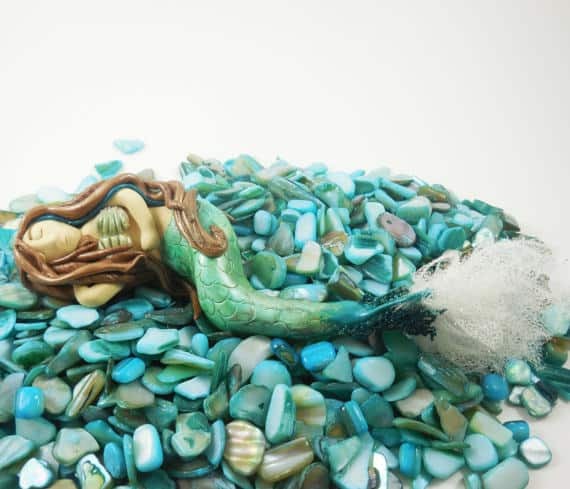 Make sure you include somewhere in your sea fairy garden for your mermaid to curl up and take a nap. Like this over sized seashell. If you don’t have little ones around and can safely have water in your mermaid garden then let this magical scene inspire you! We love the bejewelled starfish hiding at the bottom of the ocean. If you need a miniature birdbath you can find a selection here. If you have a space on your front porch and you’d like to sit and daydream about the beach while you drink your morning coffee then this DIY project is the perfect one for you! You can get a welcome to the beach sign here. Previous PostPrevious 13 Easy Halloween Cupcakes for Kids to Enjoy!